Once again, it proves our listeners love to eat, especially during the holiday season! 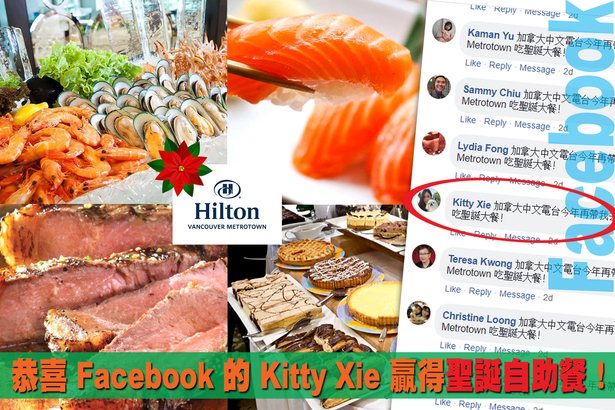 A total of 925 listeners from Facebook, Weibo and WeChat entered our December Social Media Game and the winner is Kitty Xie from Facebook. 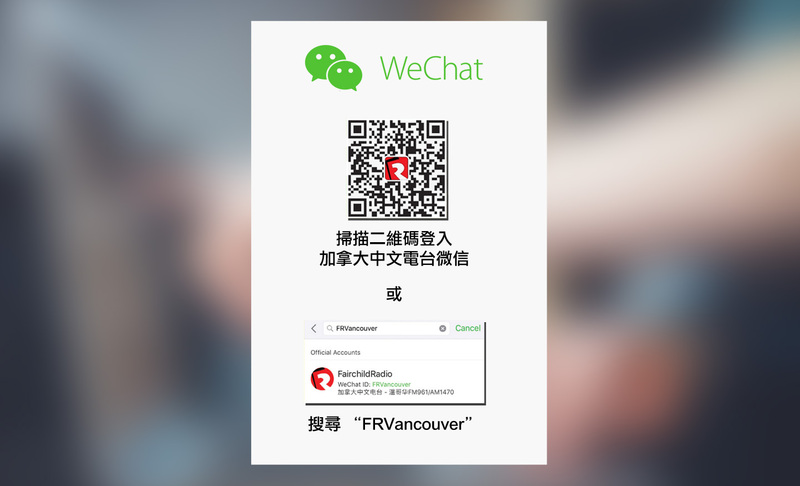 She will be awarded Christmas Day Brunch Buffet for 4 at Hilton Vancouver Metrotown, valued at $280*! If your name has not been called yet, don't be disappointed. We are giving away another amazing prize next week online and on app. Stay tuned!